Suitable for high pressure systems and combi boilers (0.5 bar). Kit includes multi mode handset, metal slide rail, double interlocked hose, soap dish and sturdy hose retainer. Chrome plated. Chrome Shower Kit 5 Function is rated 3.6 out of 5 by 7. Rated 1 out of 5 by farmerjohn from Rubbish Not as picture and bad design. The shower rail is oval so you cannot rotate the head, which does not point in a usable direction. This is the first item I have returned to Toolstation. Reliability not scored as I never installed it. Rated 5 out of 5 by TonyAKH from Shower and rail Good piece of kit for the price, happy! 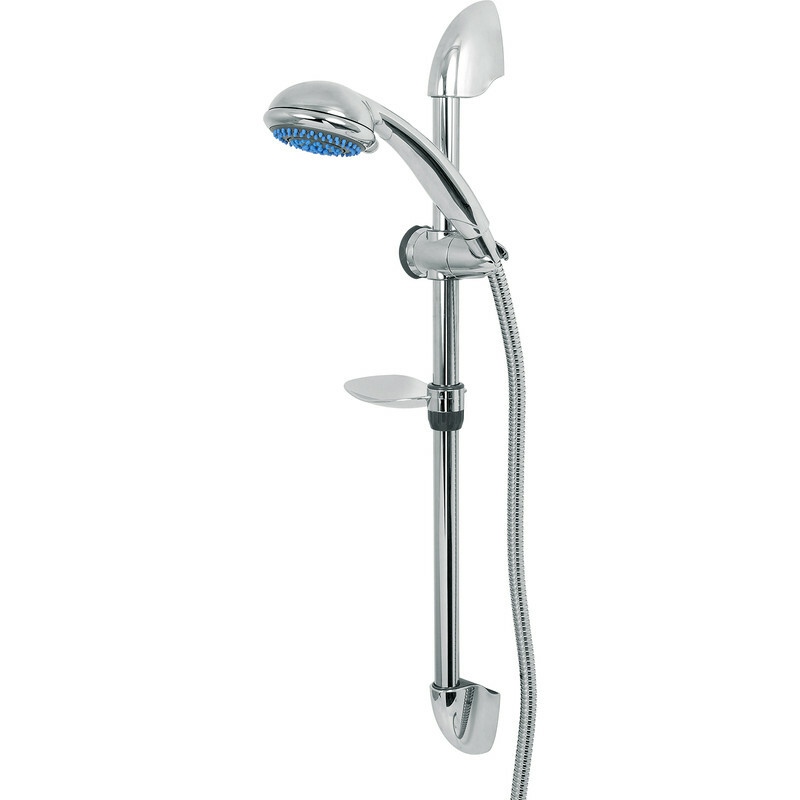 Rated 2 out of 5 by Alectrian from Shower Head nice but The shower head is very good but the wall pole brackets are very flimsy. The shower pip is fine but hardly fits the receptacle. Seems to have been compiled from dissimilar parts. Cheap though. Rated 5 out of 5 by Shug from Great features! Wall mounts are slightly different to the one in the picture but looks good and does the job well.